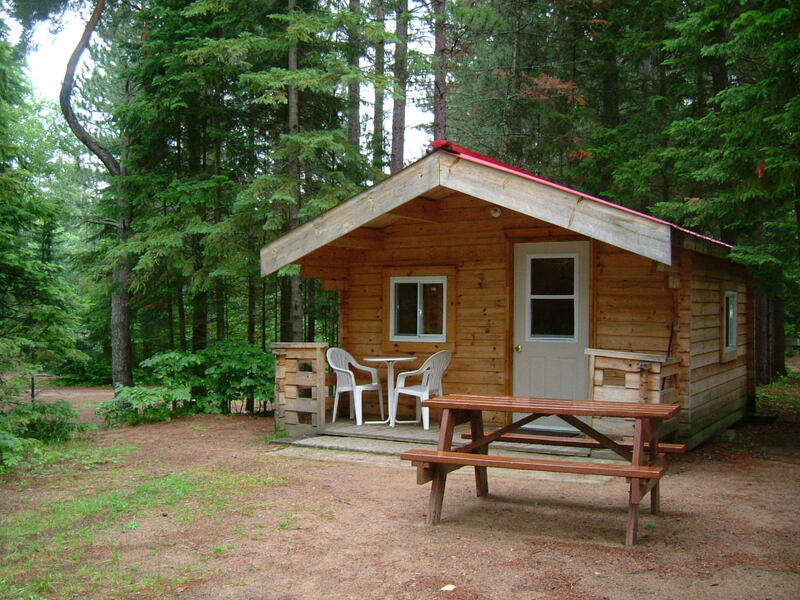 The rustic cabin will sleep 2 adults and offers cold running water, electrical heat, stove top, fridge, microwave, coffee pot and tea kettle. The bunk bed is double on the bottom and single on the top. The kitchen comes equipped with cooking and eating/drinking utensils. There is a dinette set inside and another set outside on the small veranda. Enjoy cooking on the outside grill by the campfire ring set in the tall pines just outside your door. The picnic tables outside are shared with friendly chipmunks. There is free wireless connection and indoor heated swimming (July & August) and coin laundry. The showers are open 24 hours a day and are cleaned multiple times daily. Play mini golf, cycle on the challenging hiking trails, enjoy a campfire, play horseshoes, ring toss, volleyball, basketball, or ladder golf. Walk to Dwight beach and stop at the bakery on the walk back to your cabin. Enjoy live music at local restaurants and endless activities in the Lake of Bays. Firewood is delivered to your site for $10 a bag.